Our camps are based around the fundamentals of individual development. Each age group focuses on the intangibles associated with becoming a more confident and complete hockey player. We provide our campers with an intense, structured environment that enables them the ability to learn the finer aspects of skating, puck handling, passing, shooting, body contact, and beyond. The result is a more accomplished player better able to showcase his development heading into the upcoming season. Training camps begin with a Sunday evening arrival, then into a week's worth of hockey specific training & activities with the campers departing early Saturday morning. All campers will reside in our resident hall, with all meals being served in our memorial Lodge. 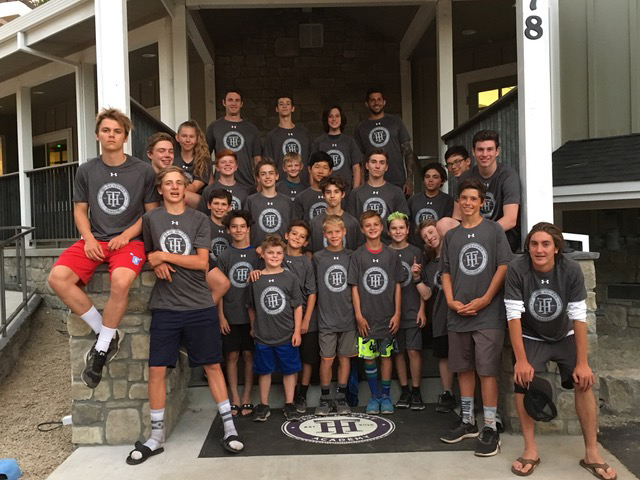 All room & board, meals, transportation, ice time instruction, off-ice training and a lot of fun is included in our 6 days & 5 night Training Camp package. We also have a non-resident day camper package as well. Our training campers will train for two (1.5) hour sessions daily and will take part in our daily off ice conditioning & training program. Our training will be working on advanced hockey fundamentals and skill set development, provided by our professional Tahoe Prep Academy coaching staff. When not on the ice or doing off ice conditioning our campers can be found hiking the majestic mountains, swimming in the many lakes, or participating in the various other fun activities we have planned. Game situations and concepts- learn how to utilize skating and puck skills in a game setting. We're going to pack a bunch of skills into a fun week of training and personal growth. The end result will be a more confident player ready to bring those skills back into his team environment. It's challenging but it's full of smiles and a ton of fun. Residential campers will report to the dorms on Sunday, July 22 with on-ice training beginning Monday the 23rd. On-ice activities will end on Friday with camper pick up on Saturday the 27th. Residential campers will report to the dorms on Monday, July 8 with on-ice training beginning Tuesday the 9th. On-ice activities will end on Friday with camper pick up on the 12th.